The most recent car booking in Hengermalom has been made on our website 3637 minutes ago. In Hengermalom, we offer for rental 4+ car categories from 2+ rental suppliers. Wide choice of offers. OrangeSmile.com is collecting absolutely all offers from the majority of vehicle providers in Hengermalom, therefore we are able to select and offer you the best rental options for almost any dates. Besides vehicles of standard types, we also provide in Hungary such rare car types as cabriolets, limousines, crossovers, and minivans. Customer support. We provide a full-cycle customer support in English at the reservation time and during the whole hire period until the end of your rental in Hengermalom. You can always use our contacts to call us (+35 323 888 30 11 and +31 40 40 150 44) or write an email (support@orangesmile.com) for direct communication. Best rates guaranteed. Simply compare our rental rates for Hengermalom (all the prices are indicated with an 'All Inclusive' package) with the rates on other car reservation websites, and you will see how attractive our prices are. We check the competitiveness of our prices for Hungary almost every day. Break Down Assistance. The 'Help on the road' package is already included in the rental for most of our car offers in Hungary. Check this by reviewing your rental conditions, please. In case the package is not included, you can always add it at the rental desk in Hengermalom. We wish you only green lights on the roads around Hengermalom! While exploring the city, tourists are recommended to use only public transport. The number of buses and trolleybuses is really big here, so you will have no problems with reaching any point of interest or attraction. Those tourists, who expect to travel using taxi, should make sure their wallets are tight and full of US dollars. Many drivers accept payments exclusively in U.S. dollars. You also need to specify the price of your ride beforehand with the driver. Many unscrupulous drivers use the lack of awareness among tourists and increase their rates several times. It is normal to leave tips in taxi and restaurants. The usual amount of a tip estimates 10 - 20% of the total sum. 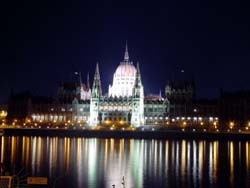 Car Rental in Budapest is available only to those tourists, whose age is 21 years or more. While renting a car, you will be asked to present hotel guest card.